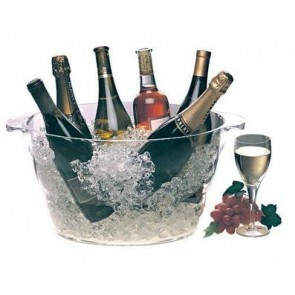 The champagne bowl is a generally hollow container of round or oval shape that is filled with crushed ice or ice cubes to keep cool or refresh drinks including champagne bottles. A must-have barware accessory for your receptions, stainless steel or design champagne bowl will bring a festive flair to your table. Indeed, ideal to keep your champagne or rosé wine cool at an optimal temperature, the champagne bowl can also be an essential element of your table decoration thanks to its different shapes, colors and materials. Opaque or transparent, this wine or champagne accessory can be a real ally for decorating your table! 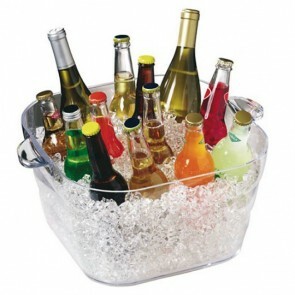 Indeed, the cooler will bring a touch of class to your party table and it will surely impress your guests! Did you know that this original object has existed for many years? This bottle cooler exists since ancient Greece. The champagne bowl formerly called "crater" was the ultimate wine cooler. With two functions this large vase not only allowed to mix wine and water (to lower the alcohol level of wine that was not drunk pure) but also to accommodate a psykter in the center for the purpose to cool the wine. The psykter was a vase, made of ceramics which was used served for the conversation of wine and its service. The psykter was then plunged into the crater. Despite the research, it is not known exactly if it was filled with ice or cold water, but one thing is certain, it was indeed the ancestor of the champagne bowl, wine cooler or other champagne bucket and bottle coolers. As an alternative to the ice bucket, wine chiller, bottle cooler, ice bucket or single champagne buckets, choose the champagne bowl which, thanks to their larger size, will make it possible to cool and keep the jeroboam or magnum sized bottles cool for your bubbly evenings. 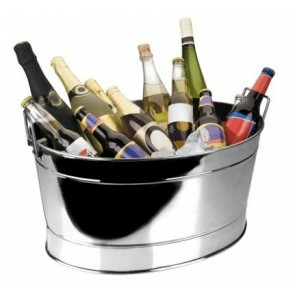 Indeed, the different buckets (champagne bucket with stainless steel, bottle bucket or other ...) only allow to maintain the cool one bottle of standard size because of their small capacity. 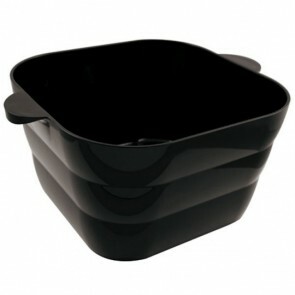 The champagne basins can then be provided with handles on the sides to facilitate their transport. Choose the model of champagne or acrylic champagne bowl which suits your décor and needs! Champagne bowls can be designed in different materials. The more traditional stainless steel bowls are always pleasantly appreciated for their design and timeless side. However, acrylic champagne basins are much lighter and therefore more handy. 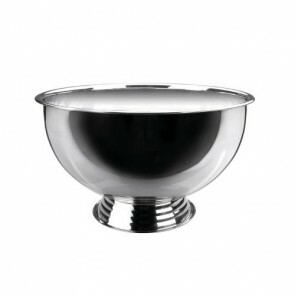 Now a must-have accessory for the service of wine or champagne along with the wine decanter, AZ Boutique's champagne bowls will allow you to taste all your grands crus at an optimal temperature. Be it wine, martini, sparkling wine, prosecco, sparkling wine or champagne brut, demi-sec or extra brut.